Is creating subtitles essential for you too? Do you find modifying them tough? If you do, then you are with the wrong app for creating and modifying Subtitles. We present you one of the leading subtitle app named as Aegisub Subtitle Editor, which is free software and thus makes it free for you to download it anywhere and enjoy the best attributes. Moreover, this is an open-source tool that means you can contribute or download the whole source code from GitHub. 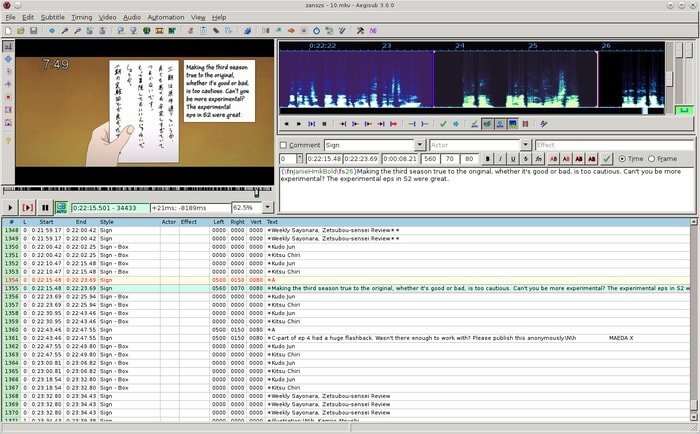 This cross-platform tool for modifying subtitles is highly customizable for its user. Being versatile, this application is fully fledged. It also features some other robust tools so that the user gets the ability to style them up. These attributes include a real-time video preview which is built-in. The native subtitle format of Aegisub is the Advanced SubStation Alpha text, and this remarkably supports the styling and positioning of the subtitles. This program also supports other common formats of these days such as the SubRip. The main intention of making this app is typesetting, quality checking, karaoke timing, translating, editing and karaoke effecting. There are many ways to install this finely crafted subtitle editor in Linux or Ubuntu. Here in this short and quick tutorial, I will show you two ways to install it. This method is a universal way to install any software in Linux distros. In case if you don’t know how to install software using the source code, check my full tutorial on how to install software using the source code in Linux. 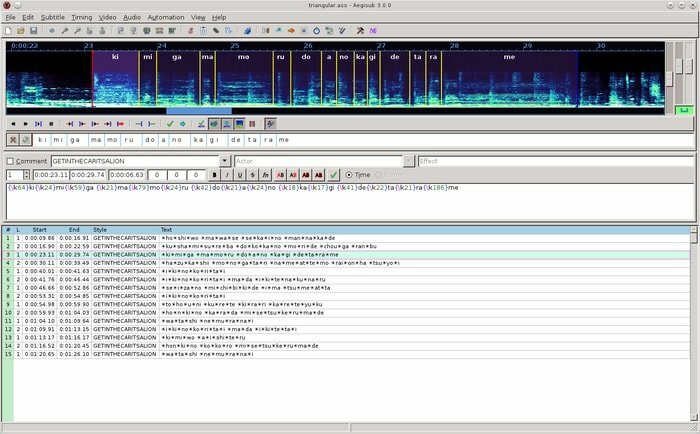 All the features of Aegisub Subtitle Editor are helpful for timing and typesetting. It also emphasizes the translation and editing features for the subtitles. This software also features a strong scripting environment named as the Automation. This feature is intended to craft karaoke effects for your files. Nowadays, Automation is also used for creating macros, and a range of other convenient tools that are requires for the betterment of the subtitles. Are you convinced with the attributes that Aegisub Subtitle Editor affords you? Do you use any other software for subtitles creating and modifying? What is that? Let us know by your precious comments below. Do not forget to share our reviews with your friends so that they can go for the right app!